Exclusive report and the interview with the first Croatian player who was raised in Croatia and has made it to the NHL. 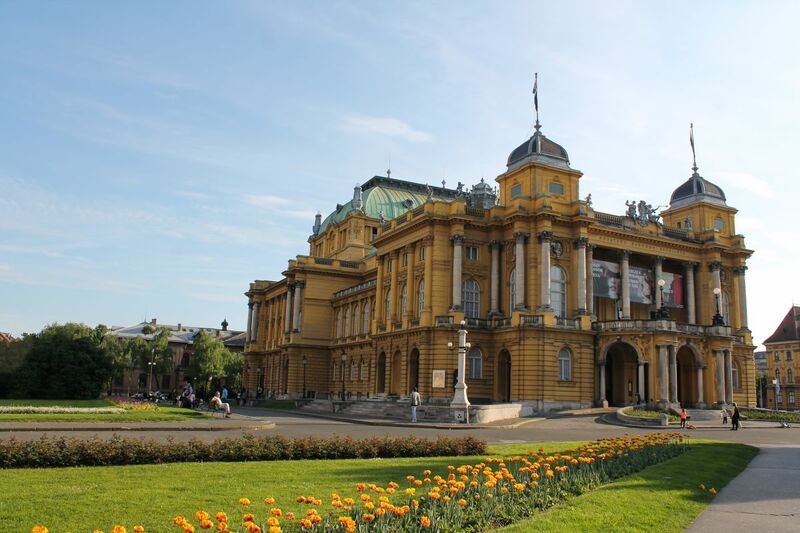 When I realized last week that Zagreb, a capital city of Croatia is from Bratislava, my city and a capital of Slovakia only five-hour drive, I had decided to take a chance and meet Borna Rendulic. Still a member of the Colorado Avalanche organization has come back to his native country one week ago after the final game of the AHL affiliate San Antonio Rampage. Within 24 hours after his arrival, he was on the ice representing Team Croatia at the third-tier world championship. (note: dozens of countries all around the world are split in six categories; worst teams are relegated to lower categories, the best teams are promoted and the best team of the best category is called the World Champion). 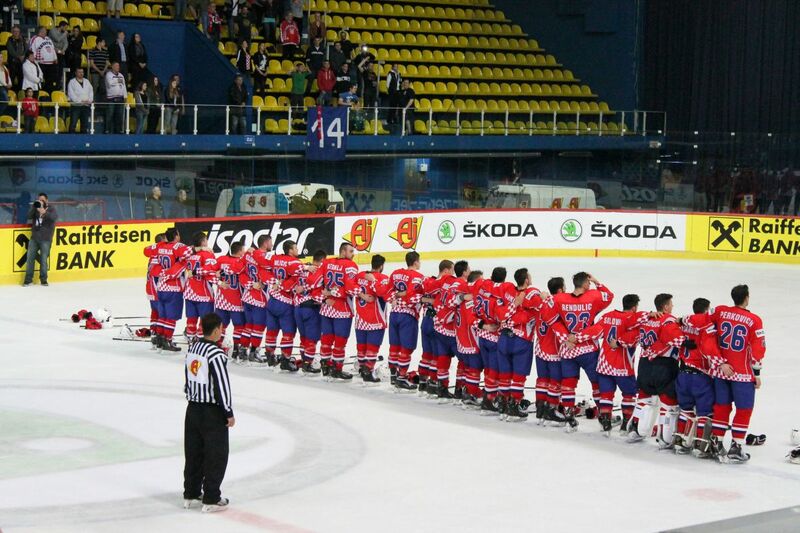 Team Croatia has never made it to the top category as a sport of ice hockey is still developing there. This year, they were competing with national teams of Ukraine, Great Britain, Lithuania, Estonia and Romania at the tournament in front of home crowd where each team played against each other one game. In a dramatic end of one-week tournament, Ukraine won the group and has been promoted to the second-tier world championship for the next season; Romania finished last one and will be relegated next year. Team Croatia lost both games against top teams of Ukraine and Great Britain at the start of the tournament, but could win the rest of the games, including a tough against Lithuania. The Croatian national team finished at the fourth place and will be back in the same tier in the next season. Borna Rendulic played in the final four of five Croatian games. He scored two goals and added five assists for seven points that made him the second in the statistics. I watched one Croatian game against Estonia. I could see how he was dominating and overplaying all players on the ice. I had a feeling the coach was sending him on the ice every second shift. The game’s pace was very fast what I did not expect at the first. It surpassed my expectations and surprised me in only a positive way. Croatian mistakes and the goalie problems almost cost them the game, but after a little drama and Borna’s three-point night they won 5:3. 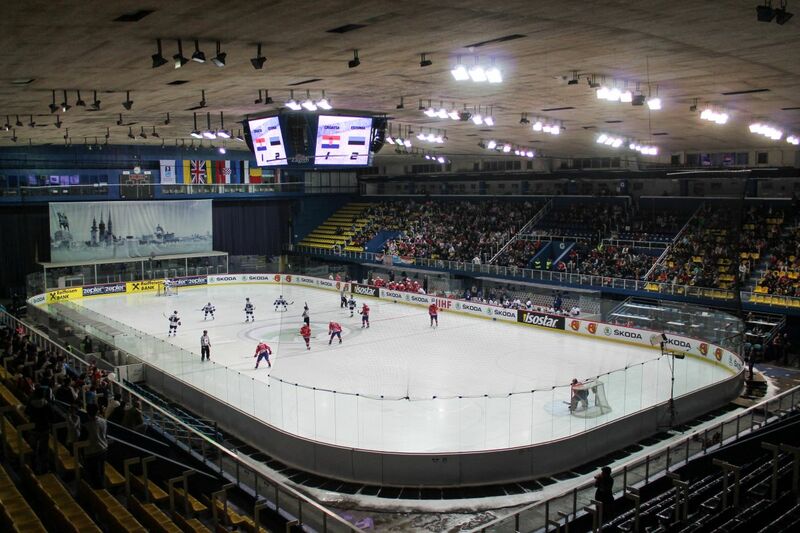 The arena ‘Dom Sportova’ could hoist 6500 fans, but not more than 3200 visited this game. Obviously the ice hockey isn’t so popular in Croatia. If some people care about the hockey it is only about local KHL’s team Medvescak Zagreb (Borna started his career there as a junior years ago when this team was playing only in Croatian league). They can watch real superstars at the KHL games instead of mostly amateurs playing for the national teams at lower-tier championships. But still the fans were cheering for full game against Estonia and honestly I have to say the atmosphere was sometimes better than on some NHL games. Small group of dozens fans could do it easily. 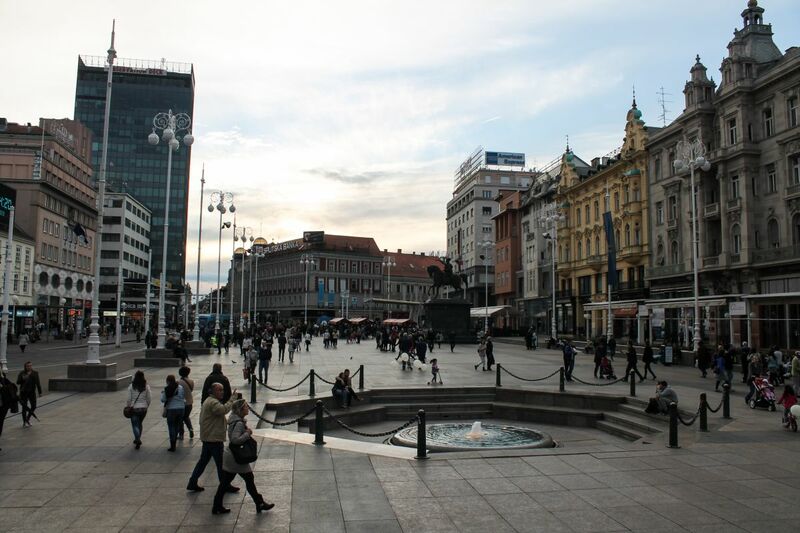 I spent Friday and Saturday in Zagreb, beautiful city. It has nice historic downtown with many old buildings, shops, restaurants and great atmosphere. It is fun that Croatia is a travel destination for the summer time for many people from Slovakia (they go to the coastline), but for me Croatia means nothing but ice hockey. I was there in December 2007 for the first time, just months after I founded the Eurolanche. I traveled there to meet other Eurolanche member. We watched local hockey games and then I had no idea that “some” Borna Rendulic was starting his career there right in that time. Destiny is sometimes fun. So after Friday’s game, tour at the downtown and some tasty food, I was ready to meet Borna on Saturday at team’s hotel next to the arena. 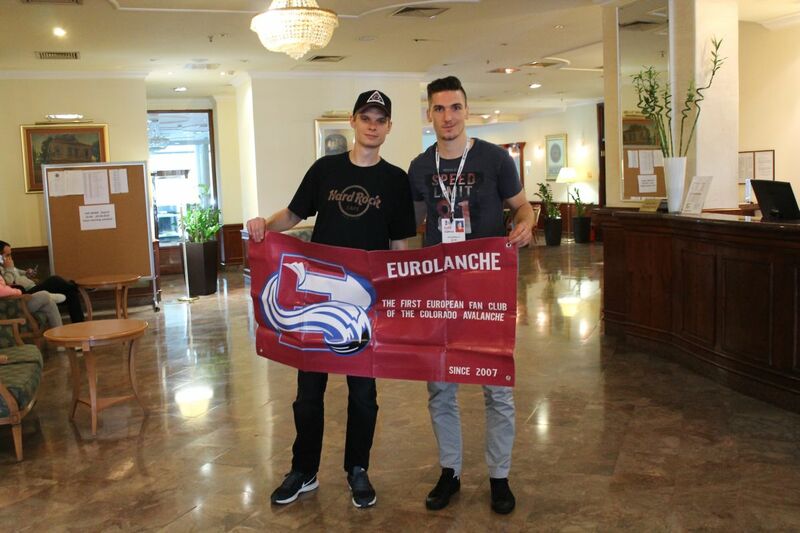 I met him after more than one year since our short meeting in Denver during the Eurolanche Invasion VII and it was my second interview with him since he signed a contract with Avs. But I can tell you he has not changed. Funny, honest and intelligent guy and a hockey player who knows what he wants, what he can do and he is opened in everything. I enjoyed our 30-minute talk a lot. He had no problem to answer my questions, give me signatures and took pictures or even greeted all Eurolanche/Avalanche fans in his native language. 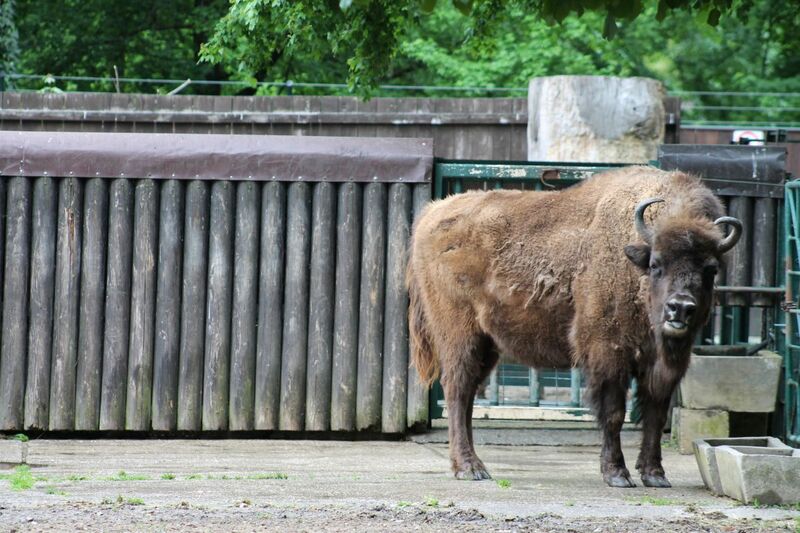 After the meeting ended, I visited local ZOO and drive back to Slovakia. The trip was awesome experience. I could connect amazing things in two-day trip – visit nice country, beautiful city, drive only less than five hours, watched kind of “exotic” hockey game at the international level and met a member of the Avalanche organization who has been always a great friend. 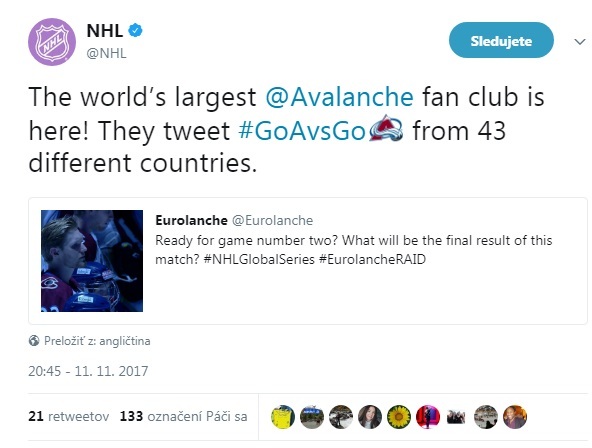 With the coming 10th season in the Eurolanche history, I can tell you there will be such trips like this more times in the next months and I hope some other Eurolanche members and the Avalanche fans will join me. We will have a special contest for the Borna Rendulic’s signature in the next hours. Just follow the Eurolanche on both Facebook and Twitter. How would you recap your season in San Antonio? I had a good training camp. I made a team (Avs) from the camp and I got send down. Let's say I had little problems. I didn't like a way how I played the first half of the season. Then I think I finished strong. I am not happy about my season. I think I could play better than I did. It wasn't good, it wasn't bad, it was OK.
Was it worse than season before? Well the season before I played some games in the NHL. When I came to the AHL last season I wasn't that good. Then I was called up and I think I played good when I was there. AHL games are lot different than NHL. There are more mistakes. Can you be more concrete why do you think this past season was average for you? Your goal is to make to the NHL. I had a chance. I made a team from the camp. I guess I didn’t play that good. I was disappointed. I thought I can make it now and if I made a team already I can just continue and be better and better. Of course when you are sent down it is always disappointing. Do you think you should get more chances? Last year I got pretty good chances, but at the worst time I got injured. I didn’t really show anything. I feel like I could still do a lot more I did. What is the biggest difference between the AHL and NHL? In mistakes. In AHL, players want to come to the NHL. They are trying too much but in the NHL there are roles. These guys scoring goals and the others are good energy guys. All kind of different roles. But in the AHL everybody wants to do everything. There is not really a communication. I feel like there is no real team spirit. Everybody wants to play for themselves. What did you like on playing in the AHL? I liked I was playing a hockey there. It had been a fun. There are few guys we hang out with. It was nice but it was just like I really did not play with my heart. We were losing a lot. Atmosphere wasn’t good also, but it is the same with every team when they are losing. All together, I don’t think I developed how I wanted. In the NHL, when you even have a practice you get better. But in the AHL it is not so good level. When I was coming over (to the AHL) I heard a lot of stories but I wanted to see it on myself. I was disappointed overall with everything. Because when I was playing in Finland, everything was taking care about. Everything was much professional. In the AHL, you are just playing there. You just feel nobody cares about you. Nobody cares about your development or how you are going to develop. Nobody teach me. We had like those development guys like David Oliver and Brett Clark. When they come over it was nice because they were teaching us, but our coaches didn’t teach anyone. There were so many young players lost their confidence. They couldn’t make the play even when they are good players. It just shouldn’t be like that. It was too much negativity around when I was there. Is it the same for entire AHL? I don’t know. I can’t say for other teams in the AHL. But I talked with other guys who play for other organizations and some of them had good experience, so I can’t really say. So you aren’t coming back to the AHL? I am not sure if they even qualify me. I don’t know what is going on. I will find out. I don’t know if I will come back to the AHL. It will depend on the offer, you never know. Would you accept two-way contract? Probably not. Because I can go play to different places where it would be nicer. I don’t want be a depth player. They called me up for few games and send down. Do you prefer all European leagues over AHL? Yes. But I only played in Finland, so I have no idea about the rest leagues, but I think it would be a better life than in the AHL. What about the travelling in the AHL? We were on the plane. Travelling wasn’t that bad. We had always flights like for 3-4 hours. It was nice. We didn’t have drive busses for 15 hours. San Antonio was a nice place, nice weather. Everything was nice, but the hockey did not go how I was expecting. Is there any indication now the Avs would like to keep you? My agent has not talked me anything because I guess they have not talked him anything yet. After mid-May I will probably find out what they are thinking and stuff like that. Would accept only one-way contract? That would be nice but I know it is impossible. I didn’t deserve one-way contact. You never know, maybe something happens in the summer and I decided I want to come back and try one more time. We won like 12 in a row. We were first in the league. Beginning the season everybody was excited, we had Picks in the net and he was amazing. I feel we won lot of these games thanks to him. We allowed like 50-60 shots on the net and he allowed 2-3 goals. You have to win when your goalie plays like that. He and other players were then called up and it was tough. All these players’ moves had to be hard. Yeah, they are moving a lot. We were changing the lines all the time. Every game, practice. You can’t play any chemistry with the players. And that was what I didn’t like about it. Who was the MVP of your team besides Mikko Rantanen? Max Noreau, Dennis Everberg. They are really good players. We had really good team in general. If everybody was healthy and there were no call-ups, we would have been really good. Who has a good chance to play in the NHL? Dennis Everberg. Ben Street is too good for the AHL. I am sure he can make a career in the NHL. Agozzino too. New guy Boikov was good when he came over. Most of the players are 2-3 years from the NHL. Spencer Martin has been very good. He has really good potential and may be something special after few years. Do you know about plans of your other European teammates? I only talked to Dennis. We were hanging out together for most of the year. We talked a lot. But nobody knows anything because they (Avs) have not told them anything either. Everybody is just probably waiting at home to hear from their agents what is going to happen. Were there any final meetings after the final game of the season? We had an exit meeting with our coaches and development guys. They asked us how was our season. They didn’t know anything either (about further contracts). They just asked us like you are asking me now. What did you like the most there? Probably the weather. It was nice and warm. We got a good set up at home in the arena. But I can’t really tell you anything else. It was bad because some teams played 68 games, we played 76 games; against Texas Stars it was like 15 games so they had easier way to make the playoffs. I think it should be like in other leagues. What about your three games you played for Colorado Avalanche in the past season? I played with Rantanen and Soderberg. We didn’t play good, we didn’t play bad, we were OK, somewhere in the middle. When you are there and you have a two-way contract you have to show something else, something more than other players. We had good scoring chances. It would change your career if you score. They are just little small things. I am disappointed with everything because I know I could play the NHL, but it didn’t work this time. How it works when you are called up? Usually Patrick Roy called to our coach and he told you are called up and a time of your flight. Car is waiting for you, driving to the airport. Car is waiting you there, drop you at the hotel. Everything is cared about you. It was always nice to get call up. Did you have more personal talks with Patrick Roy or Joe Sakic? I had been talking to Sakic a lot when I was on a team last year. We never talked about hockey. Always talk about Croatia because he likes it. He has been there few times. With Patrick I just talked this season when I made the team why I made it and that he likes my game and that’s all. Then I talked to him when he sent me down. Joe Sakic used to travel to Croatia? Yeah. He told he has been on a vacation in Dubrovnik (popular summer coastline area) and he is going there again this summer. Who doesn’t like Croatia? You have a guy named Sakic on the national team. Yes, but he has no relation to Joe. The Croatian hockey community still remembers Sakic? Oh yeah, they know about everything. Many fans are talking about Radulov and his possible way to Colorado. Have you heard anything? No. I think nobody heard. They are probably going to make it silently. Is it fun for you to playing for Team Croatia? It is fun to play with guys I grew up. But it is also frustrating when people don’t know how hard it is come in and play at this level. But it has been fun. In the past, what kind of the most exotic game you played for Team Croatia? Against Bulgaria, China. It was really easy to play against them. But it is always good to play agains strong teams like Ukraine or Great Britain. For you it probably doesn’t matter at which category Team Croatia plays. I would always come if I have a time. I came to home anyway, so why not playing in front of the home crowd and get a special win for them. Is this category of the World Championship comparable with the AHL? No. Any AHL team would be every single team here. They are pro and these players aren’t. What are chances for Team Croatia at the next tournaments? They have good chances if can get couple of more experience players, Canadians. Our goalies will get a little better. We have a chance for the higher category. How did you lost your front tooth? At the training camp at one scrimmage. I will get it fix next week. What is your plan for the summer? I will rest for 5-6 days and then starting working out and talk to my agent and see what is going to happen. How your life has changed over the last couple of years? Oh my God, drastically. Especially here in Croatia. Nobody knew me two years ago. When I came back, everybody asked for my autographs and took pictures with me. It has been a fun. I like it. It’s not like people know me when I am walking on the street around the city, but hockey people know. It is also good for kids to watch someone because I had never somebody like that when I was young.